Gambling sponsors will be banned from Wembley Stadium under special conditions laid down by the UK Government in case that the football venue passes into the hands of a new owner. Rumour has it that the bid of the Pakistani-American billionaire Shahid Khan to purchase the London’s Wembley Stadium depends on Government’s demands over naming rights and limits on sponsorship deals. 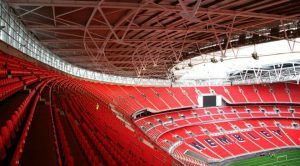 Earlier this year, it became clear that the new owner of the stadium would not be permitted to rename the venue until 2057 and would be required to agree to a number of other measures aimed at protecting Wembley Stadium as the “home of English football”. In April 2018, Shahid Khan, who currently owns Fulham F.C. of the English Premier League and the Jacksonville Jaguars of the National Football League, made an offer to the Football Association (FA) to buy the stadium, with the acquisition bid amounting to £600 million. The FA decision on Mr. Khan’s acquisition bid is expected to be announced towards the end of 2018. As mentioned above, the deal is reportedly dependent on ensuring that the historic status of the venue remains protected. 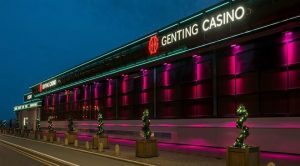 Now, information has emerged that some of the conditions unveiled by the English Football Association include a future ban to be imposed on gambling sponsors at the stadium. 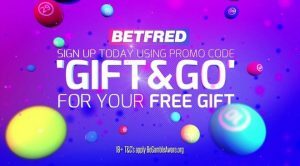 Back in June 2017, the FA unexpectedly ended its sponsorship agreement with Ladbrokes, following a decision that it was inappropriate of having a betting company as a sponsor at a time when football players are officially banned from making wagers on football matches. As mentioned above, the sale is believed to be dependent on compliance with a number of conditions, including naming rights and other restrictions which the new owner will have to comply with. Some of the other requirements include getting the Government’s approval in case that the new owner of the venue wants to sell it on. Any new owner will also have to show some respect for the heritage of the stadium, so they would have to ensure that Wembley remains the national stadium, with key sporting events including all major FA competitions set to be held there in the future, too. 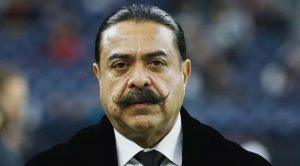 Shahid Khan, who also owns the Jacksonville Jaguars NFL team is considered to be pursuing the purchase of the iconic football stadium as an opportunity to see them play more matches in London. However, the sale conditions set by the FA would prevent him from bringing the Jacksonville Jaguars branding into Wembley Stadium. Khan himself has previously confirmed that the eventual purchase of the venue would deliver another and very significant asset and local revenue source for the Jaguars. The English FA, on the other hand, wants to use the money generated from the sale to establish a fund to construct about 1,500 artificial pitches across the country.